This over-the-top chandelier rhinestone earrings are just over 4 inches long, with lots of beautiful clear rhinestones through its design. These crystals rest on a durable rhodium base. 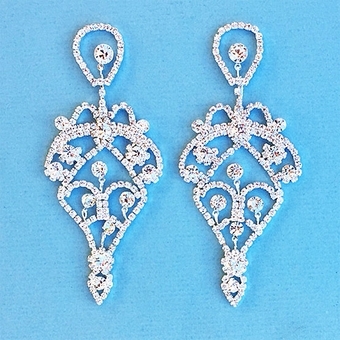 Make a splash at your wedding, pageant or prom with these beauties.